“Jack Reacher is the coolest continuing series character now on offer.”—Stephen King, in Entertainment Weekly #1 New York Times bestselling author Lee Child follows the electrifying 61 Hours with his latest Reacher thriller—a story that hits the ground running and then accelerates all the way to a colossal showdown. There’s deadly trouble in the corn country of Nebraska . . . and Jack Reacher walks right into it. First he falls foul of the Duncans, a local clan that has terrified an entire county into submission. But it’s the unsolved case of a missing child, already decades-old, that Reacher can’t let go. The Duncans want Reacher gone—and it’s not just past secrets they’re trying to hide. They’re awaiting a secret shipment that’s already late—and they have the kind of customers no one can afford to annoy. For as dangerous as the Duncans are, they’re just the bottom of a criminal food chain stretching halfway around the world. For Reacher, it would have made much more sense to keep on going, to put some distance between himself and the hard-core trouble that’s bearing down on him. For Reacher, that was also impossible. 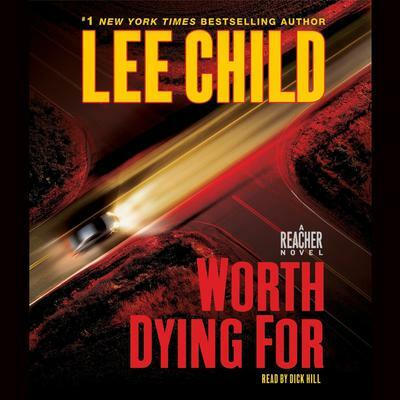 Worth Dying For is the kind of explosive thriller only Lee Child could write and only Jack Reacher could survive—a heart-racing page-turner no suspense fan will want to miss.